Q. Tell us about your family and your conversion. A. I am the twenty-fifth born of twenty six children born to my father who had three wives. My parents were religious but sadly, they had no relationship with the Lord at the time I was growing up. One of the highlights of my family was our family reunion at Easter. It was such a special time for me. On this occasion, I had the joy of seeing and enjoying the company of my older brothers and sisters who had come back from several different cities of the country where they had been living and working. My father, being well-to-do, normally slaughtered a cow for us to celebrate the reunion. Each year, I looked forward to our family get-together at Easter. My father was an elder in my hometown of Anyako. He sent all of us to a Catholic Missionary School, where most of us embraced the catholic teaching and faith. I vividly remembered my father telling the catholic missionary priest (a white man) that he would like to be baptized the next time he came to our hometown to perform his missionary work. Unfortunately, there was no “next time” for my father. He had a stroke and passed away a few hours after the stroke while being rushed to the hospital. This was a major turning point in my life. Although I had embraced the catholic faith and was serious about the faith, I only had a religion, not a relationship with God. The death of my father led me to a search for a meaningful, deeper and personal relationship with God. A year after my father’s death, I left my hometown to attend high school in Ghana ’s second largest city of Kumasi. Just close to the end of my first year in high school, at a lunch-break ministry, I accepted Jesus Christ as my Lord and Savior after listening to a gospel message preached by a believing student, who was part of the Scripture Union Club of our high school. Through his preaching, I understood that I am a sinner in need of a Savior, who is Jesus Christ. Immediately after my conversion, God enabled me to see the difference between mere religion and a meaningful relationship with Him through His Son. Prayer and Bible Study became means of knowing God, not means of earning His favor. Q. Could you please narrate your call into the ministry. A. Not long after my conversion, God's call to serve Him came to me. I was chosen to serve as the vice president of the Scripture Union at my high school. The Scripture Union was the name of the student club whose purpose included bringing believers together for worship, fellowship, prayer, Bible Study and outreach. The Scripture Union was very proactive in its outreach to the lost. With the permission of the school authorities, the group met at every lunch-break for a gospel service, where unbelievers were invited to listen to the gospel. Believing adult teachers in the school gave guidance, counsel and encouragement to student believers of the Scripture Union. Although, I had a conscious sense that God's hand was upon my life and that He had set me apart for Himself to serve His purpose, my heart was pulled in another direction and longed to do other things instead. I became very interested in sports and soon excelled in athletics, basketball, soccer and volleyball. I represented my high school in all of the above disciplines of sports. In fact, in less than two years, I became the second best triple jumper for my country, at the age of 17. The praise and the applause of my fans began to go to my head. Seeing that I was making a name for myself in sports, and that it was becoming more difficult for me to serve as the vice president of the Scripture Union, simply because I needed more time to devote to sports, I resigned from my position of vice president. I concentrated fully on sports to achieve more laurels for myself and abandoned my calling to serve the Lord. God permitted me to choose this path. In His own time, He would get my attention and restore my heart's focus on Him and His calling upon my life. Q. Tell us about your educational background. A. My educational background is an interesting one. Since Ghana was a former British Colony, our education was built on the British Educational System for which I am very grateful. This is because being educated under the British system of education gave me a solid foundation to compete well in any other educational system in the world. After passing my Common Entrance Examinations, I was accepted into Technology Secondary School (equivalent to high school) in Kumasi, Ashanti Region. After making the mark in my GCE (General Certificate Education) Ordinary Level Examinations, I entered Prempeh College for my Advanced Level education for two years. This was also in Kumasi. Having obtained the qualifying grades at the Advanced Level Certificate Examinations, I was accepted into the Civil Engineering Department of the University of Science and Technology (now called Kwame Nkrumah University of Science and Technology) in Kumasi. As you can see, my education from secondary or high school to university was in Kumasi, the second largest city of Ghana. After graduating with a Bsc. (Hons) degree in Civil Engineering, I was chosen (along with three members of my graduating class) to serve as a teaching assistant in the Civil Engineering Department of my Alma Mater. After two years of service, God provided a scholarship for me to attend the University of British Columbia, in Vancouver, British Columbia, Canada, where I received an M.A.Sc. degree in Civil Engineering. 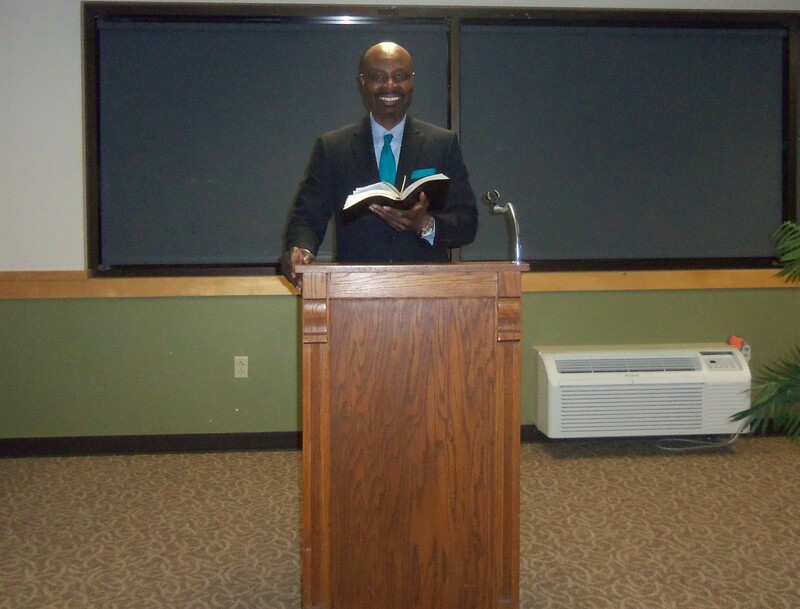 Later, I would receive an M. Div (Master of Divinity) degree at Western Conservative Baptist Seminary in Portland, OR. Actually, I prefer to tell people that the degree I really received in Seminary is "M. God" (Mercy of God). This is because God was so merciful to me for resisting Him for two years before giving up my civil engineering career to respond to His call. Q. Apart from the death of your father, your conversion and becoming a national athlete as a teenager, could you please tell us about other major milestones in your life? A. Certainly, leaving my country of origin in 1989 to study for my Master's degree in Civil Engineering, in Vancouver, B. C., Canada, with a scholarship from the University of British Columbia, was a major milestone in my life. This was totally an act of God. Without the scholarship I could not have set foot in Vancouver, B.C., let alone studied there. My desire was to get a Ph.D. before returning home. But later, I learned from Paul's life that, while my desire was wrong, my destination was right. God would call me from Vancouver, B.C. into the ministry. This leads me to the next major milestone in my life, that is, receiving God's call to leave my pursuit of civil engineering career into full-time ministry. In August of 1993, after two years of resisting God's call, I left Beautiful British Columbia to attend Western Conservative Baptist Seminary, in Portland, OR. This move was not only adventurous, but also challenging, character-building, faith-building, and fulfilling, leading me into the path of becoming a preacher and teacher of the Word of God. The irony is that, I had never thought or planned to be a preacher or teacher of the Gospel of Jesus Christ. It was not even on my list of career choices. Another major milestone in my life was being sent twice to Beirut, Lebanon by God to do evangelistic ministry and equipping of believers among several churches which were made of African and Lebanese believers. My first visit was in June 1995, while I was still in Seminary and my second visit was in November, 1996, a few months after my graduation from Seminary. Other major milestones in my life include founding a fellowship of believers from the States, Asia and Russia, which I shepherded for three years, and being called to serve now as a pastor in a local church. Q. What is one of the earliest lessons you learned in your Christian faith? A. That's a tough question. I would say, the earliest lesson I learned in my Christian faith is that "Pride goes before destruction, a haughty spirit before a fall" (Proverbs 16:18). Earlier, I related to you about becoming a national athlete (a triple jumper) when I was a junior in high school. Although this was a good thing for me, the fame and popularity led to pride in my life and greatly weakened my devotion to the Lord and my witness for Him. God had to deal with my pride. He must discipline me since I am His child. So I experienced a great humbling, as a major injury sidelined me for over a year. During that period, God asked me, "Joseph, where is your strength?" As I pondered that question, I realized that the strength I had was not my own. It was from God. He was the source of my strength. Then came the lesson: I learned that I had been doing everything for myself (which is pride), not for the glory of God. That was a very difficult and painful lesson to learn early in my Christian walk. But I thank God that He taught me so early in my Christian walk that pride goes before a fall. I believe this early lesson has been used by God to prevent a greater fall in my life in the area of pride. Q. What is your heart's desire for those who do not know Jesus Christ as their Lord and Savior? A. I thank God for giving me a burden for those who do not know Jesus Christ as their Lord and personal Savior. My heart's desire is to reach them with the Good News of Jesus, explaining to them how God loves them and is willing to forgive their sins and bring them into a loving, living, meaningful and fulfilling relationship with Himself through the merit and work of Jesus Christ on the cross on their behalf. My earnest desire for them is to introduce them to Jesus Christ, the lover of their souls, who wants the very best for them, both in this life and in the life soon to come. As such, through the assistance of the Holy Spirit, I have committed myself, first of all to praying for their salvation on a daily basis, and seeking opportunities to share the Gospel to them. As I pray and seek opportunities to proclaim the Good News to them, God has led me to places like retirement homes, chapel services for the homeless, door-to-door outreaches, etc. I thank God for those He brought to Himself through these opportunities. But I also know that as I humbly walk before the Lord, He will provide further opportunities for me in the nations to proclaim the Gospel of Christ to those who do not know Christ Jesus, the Savior of the world. Q. As a follow up to the last question, what is your heart's desire for God's people? A. My heart's desire as a servant of God called to preach and teach the Word of God is to be used of God to draw His people closer to Himself and to be more devoted to His Word, to take God at His Word, and to allow His Word to do its transforming work in them, for them to become all that God intends for them to be. Also my heart's earnest longing for God's people is for them to have effective and fruitful prayer lives, thus deepening their dependence on Him and experiencing His promise of accomplishing much through prayer. Q. What books or authors have made an impression on your life? A. Biographies of missionaries and men of God such as Hudson Taylor, George Mueller, D. L. Moody have greatly impacted my life. Also, my heart has been greatly challenged by classic writers and preachers such as Charles Spurgeon, Jonathan Edwards, Charles M. Sheldon, John Bunyan, R. A. Torrey, E. M. Bounds, Oswald Chambers, A. W. Tozer, and Leonard Ravenhill and contemporary authors such as John Piper, John MacArthur, Jim Cymbala, Henry Blackaby and Charles Stanley. Q. What do you do to recharge your spiritual "batteries?" A. Recharging my spiritual "batteries" is very important to me because without it, I would not be where I am today. Daily Bible reading, meditation, prayer, personal and private times of worship and special times of fasting are the primary ways I recharge my spiritual "batteries." Listening to godly preachers such as Dr. McGee, Dr. Alistair Begg, Dr. Charles Stanley, Dr. David Jeremiah and Chuck Swindoll also serve to renew my spirit. In my daily prayers, I specifically ask for renewal in the Holy Spirit. I think it is important to specifically ask God to recharge our spiritual "batteries" and not take it for granted. Q. What are your hobbies and what do you like to do to relax? What would do if you had a week off work? A. My hobbies include hiking, running, playing basketball, traveling to new places, meeting new people, reading, watching NBA basketball playoff games. To relax, I spend time with friends, enjoy a hearty laugh with friends, linger in bed especially on Saturdays, listen to instrumental praise music, and watch the beauty of God's nature. If I had a week off, I would like to fly to California or Florida and enjoy the beaches and the Disney's and just relax. A. Simply, to be a worshiper of God who worships God in spirit and in truth and to love Him with all my heart. To do His will from my heart and so live to glorify Him and bring pleasure to His heart. In fact, I consider the privilege and pleasure of worshiping the Person of God as what drives my life and ministry. In other words, my witness, work in the ministry, and walk as a believer in Jesus Christ are an outflow of a life of learning to worship the Lord my God. Q. What is your life goal? A. At the end of my borrowed life on earth, I want to be able to say to the Lord of my life, my Heavenly and Holy Father, even as my Savior declared to Him, "I glorified You on the earth, having accomplished the work which You have given Me to do" (John 17:4). And as Paul was inspired to say, "I have fought the good fight, I have finished the course, I have kept the faith" (2 Tim. 4:7). Q. What are your biggest personal challenges? A. Jealously guarding my personal time alone and walk with the Lord, in the midst of many demands in the ministry. Ensuring that my ministry to others flows out of a fresh, growing, deepening and passionate personal relationship with my Lord and Savior Jesus Christ. In other words, I desire that my service to others will be an outflow of my personal service and worship of the Person of God Himself. Also, to watch my life and my teaching closely, that is, being diligent that my walk is consistent with my talk, that I practice what I preach. I know this is not possible in my own strength. I need to rely on the Holy Spirit to walk the walk and talk the talk. Q. What is meant by the name "Yesuli" and why did you choose it as the name for your ministry? A. The name "Yesuli" is from my native tongue, meaning "Jesus lives," or "Jesus is alive." I chose it because this ministry is all about Jesus and His life-giving message to sinners. Also it is a reminder to me that Jesus is indeed alive and in control and will bring human history to an end exactly as the Scriptures have predicted. Q. What do you hope God would accomplish through Yesuli International Ministries? A. To promote the worship and knowledge of the true and living God revealed in the Person of the Lord Jesus Christ. To preach and teach the Word of God with clarity and relevance in order to build up believers unto spiritual maturity. To prepare and equip Christians for ministry in the nations. To proclaim the Good News of Jesus Christ in the nations in order to provide an opportunity for those who do not know Christ to enter into a personal saving relationship with Him. To this course, I pray that I may serve God's purpose in my generation. Q. How do you want people to pray for you? A. Pray for the increase power and fresh anointing of the Holy Spirit upon my life and ministry.